Jennilyn Jackman Baptiste, MS, RD, CDN is a registered dietitian, and certified dietitian-nutritionist who has garnered 26 years of experience in the health care sector. She became involved in her profession by chance; she wanted to be a doctor, but the opportunity to study nutrition in college came along, and she liked it. Throughout her illustrious career, Ms. Jackman Baptiste served as an independent contractor for various medical-health agencies. She was also a clinical dietitian for hospitals, nursing homes, Long-Term Home Health Care Programs (LTHHCP), and schools. Ms. Jackman Baptiste decided to venture out on her own and start her own practice, LeSash Nutrition & Health, LLC, located in Staten Island, N.Y. Her company’s mission is to make people aware of the relationship and importance between proper nutrition, adequate exercise and optimum health. She uses her own personal experiences and the experiences of others (never named) to get a point across. Ms. Jackman Baptiste uses a holistic approach and spends her days providing nutrition education at senior centers, community organizations and for long-term care patients in their home, as well as in her office. 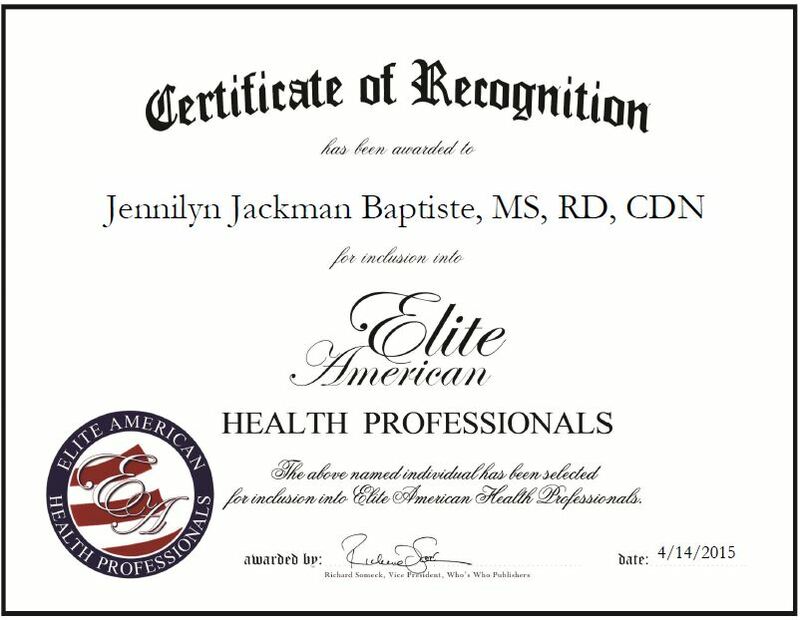 She also acts as a liaison between patient and doctor, develops nutrition and individualized diet plans based on patients’ likes and needs, conducts research for classes or on complex diagnoses, and provides nutritional education classes on diabetes, hypertension, high cholesterol, drug interaction, cancer, calcium, Vitamin D deficiency, and gastrointestinal disorders. She has achieved great success throughout her career and believes that success stems from her passion for helping people; she loves seeing their excitement as they achieve their goals. She has been told that her passion is evident in her counseling and presentations. 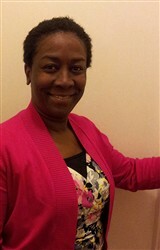 Looking toward the future, Ms. Jackman Baptiste would like to expand her business and take it to an international level. She would also like to hire another person and keep giving presentations. This entry was posted in Nutrition and tagged diet, education, exercise, health, meal plans, nutritionist, weight management. Bookmark the permalink.